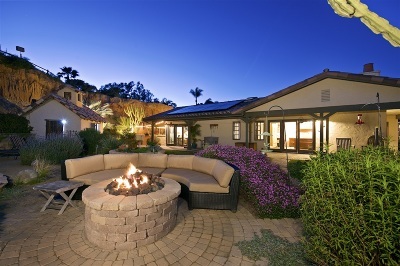 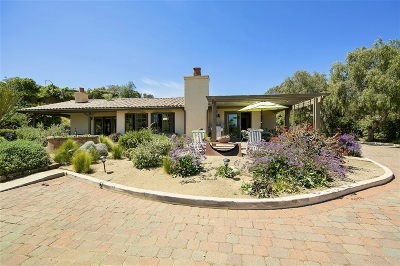 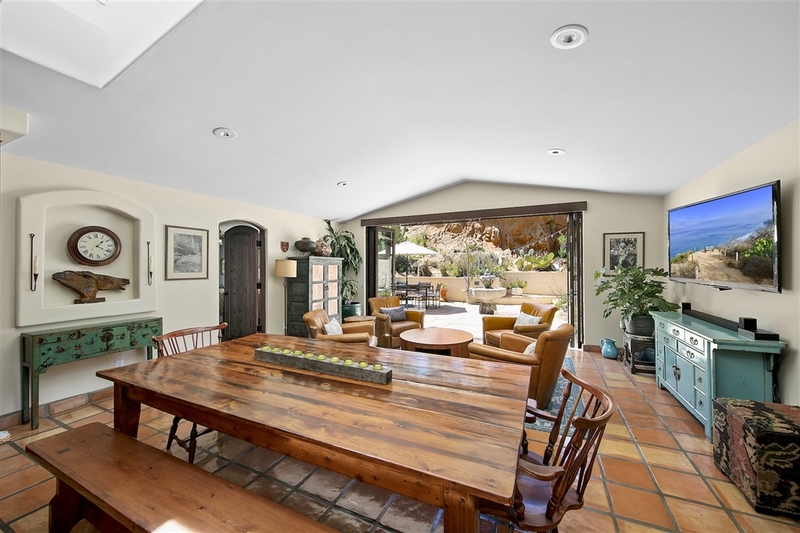 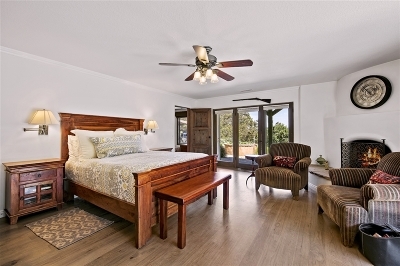 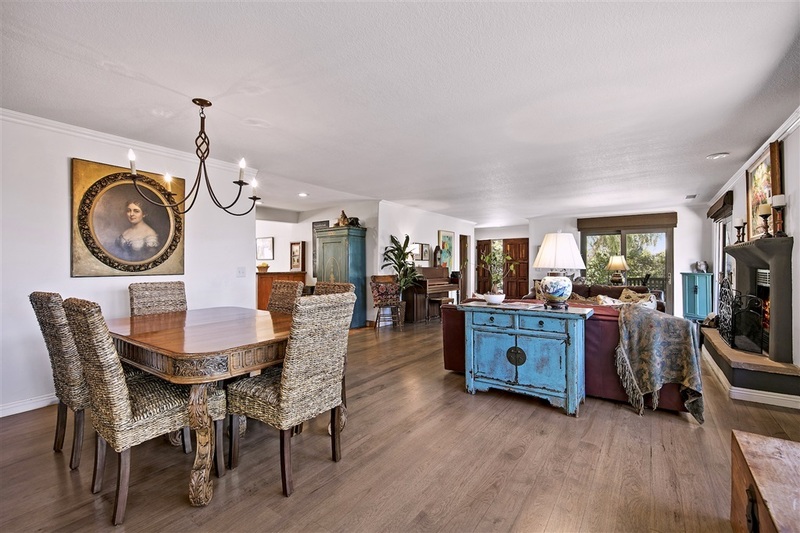 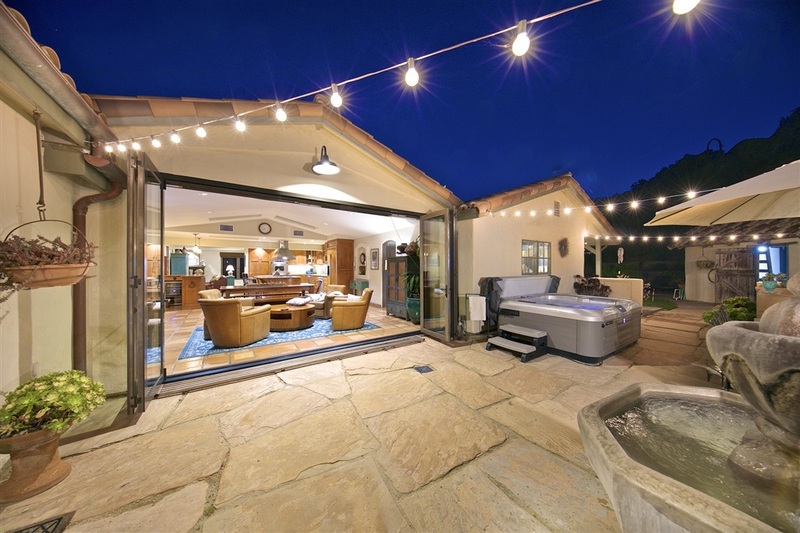 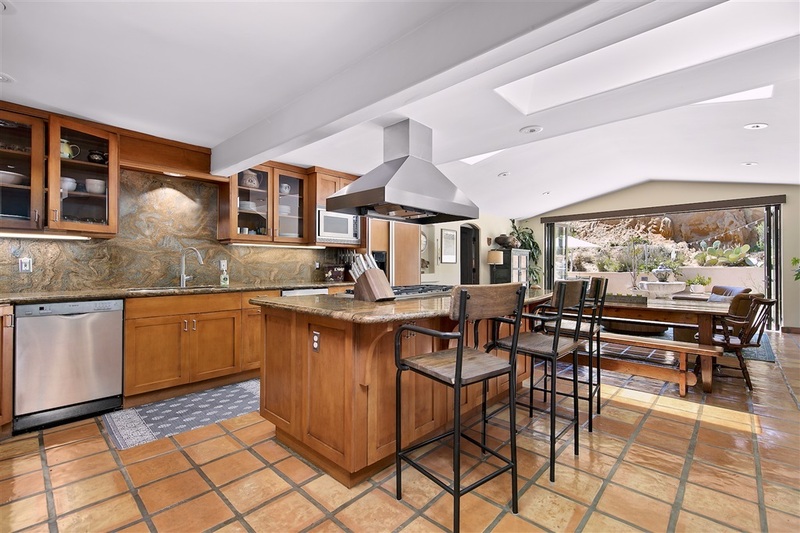 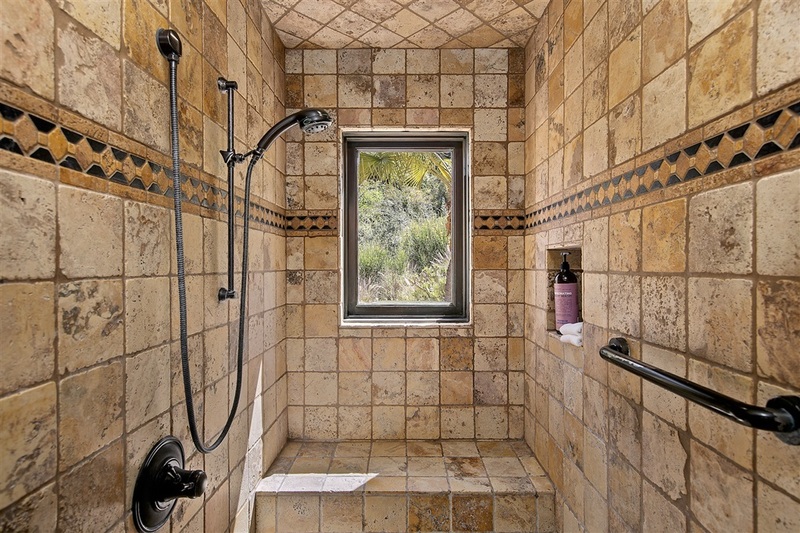 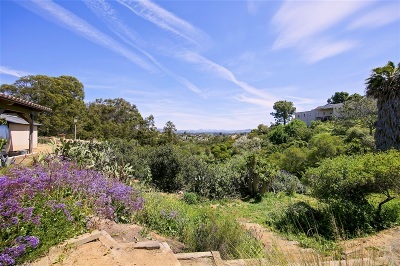 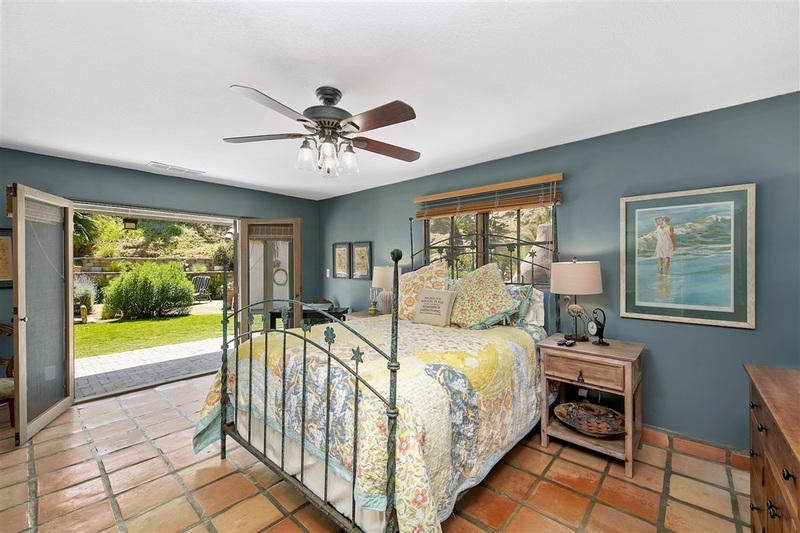 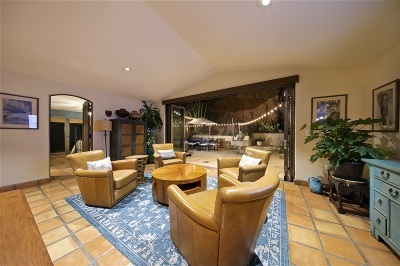 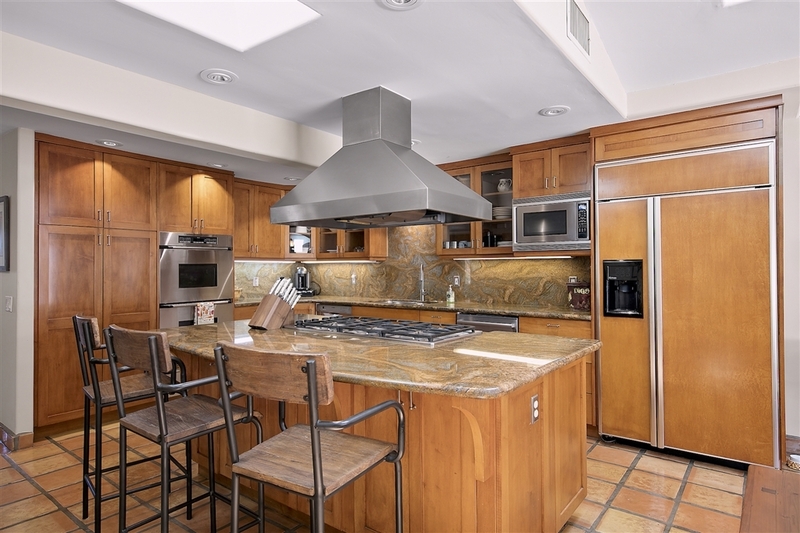 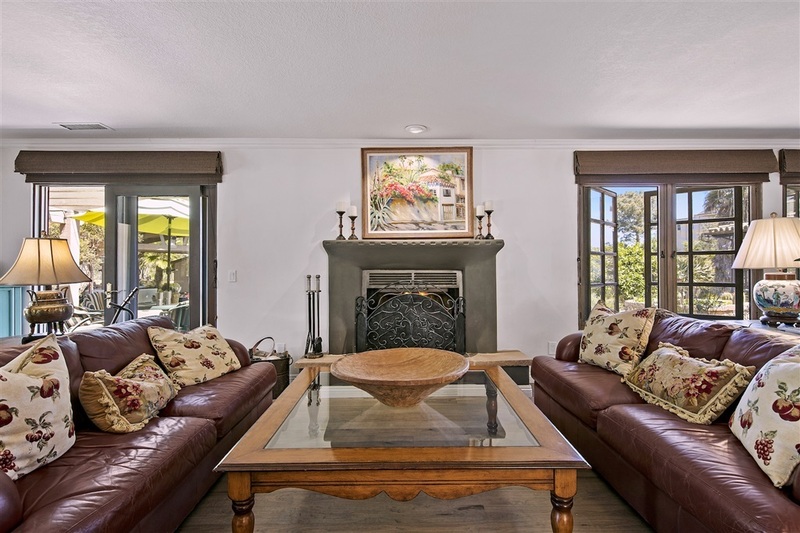 Serene and secluded this hacienda estate is situated on one of most coveted streets in Encinitas. 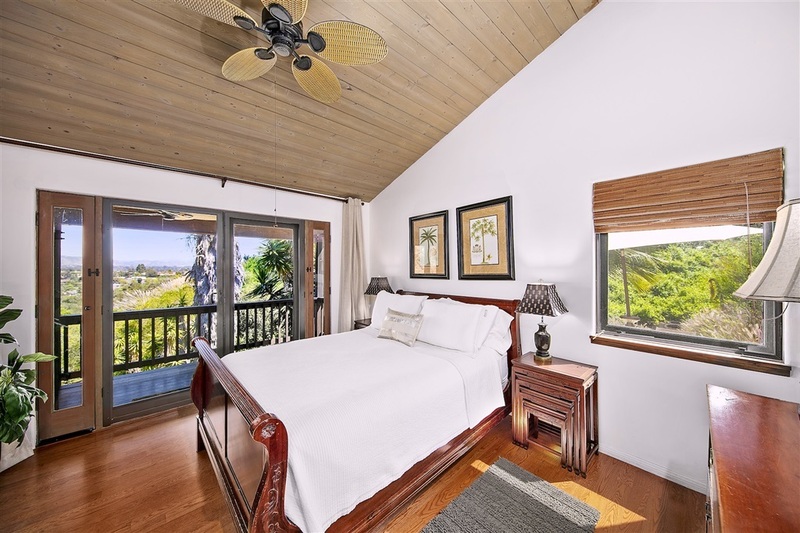 A true sense of peace awaits you as you arrive and are greeted by spectacular bluff and canyon views. 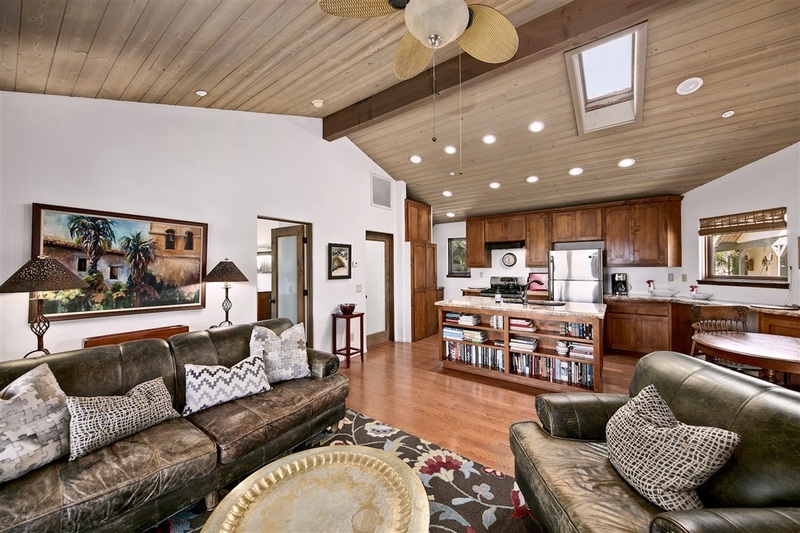 Charming single level is resplendent with southwest details throughout and features a highly upgraded kitchen with top appliances that opens to family room and outdoor living areas. 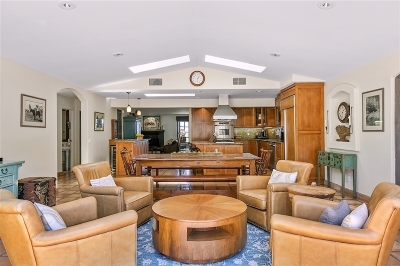 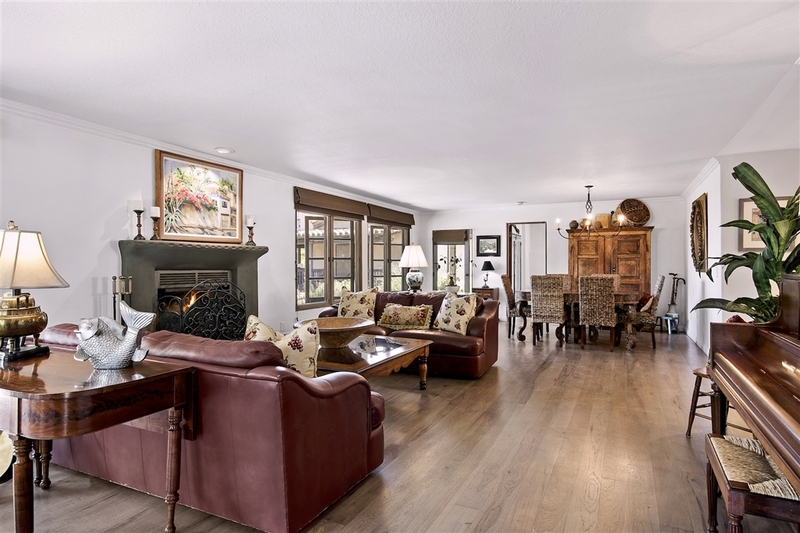 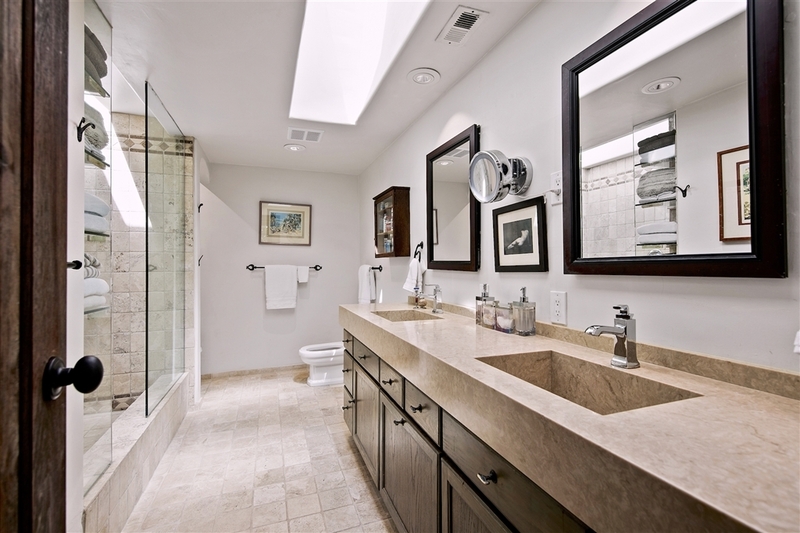 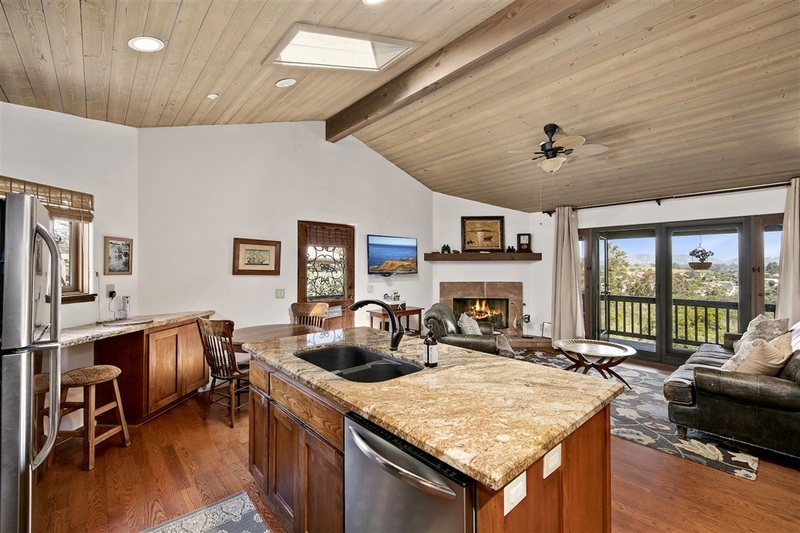 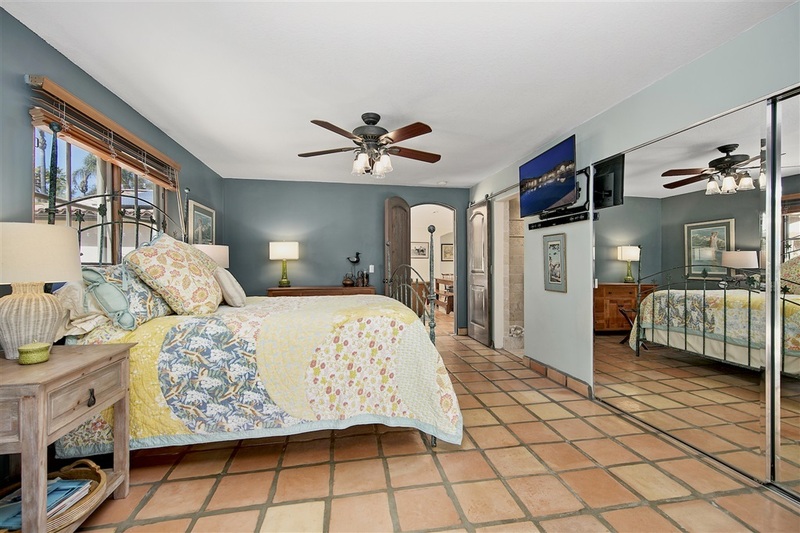 The open floor plan offers 5 bedrooms, 5.5 baths and Santa Fe arched wood doors and skylights. Beautiful guest casita., Truly surrounded by the beauty of nature, the enticing outdoor spaces are enhanced by a waterfall pond, drought tolerant landscaping, multiple seating areas that are perfect for either intimate dinners or large parties. 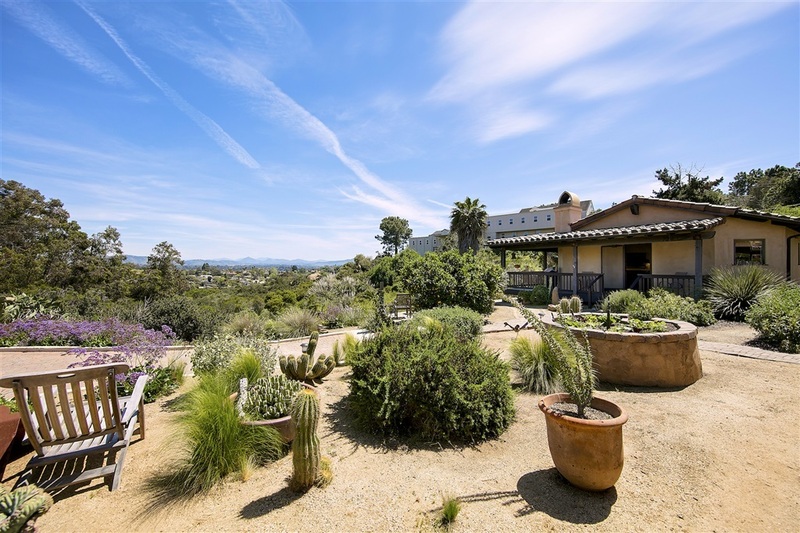 Views of hot air balloons float over the canyons to Rancho Sante Fe and breathtaking bluffs come alive at night with twinkling lights and hooting owls. 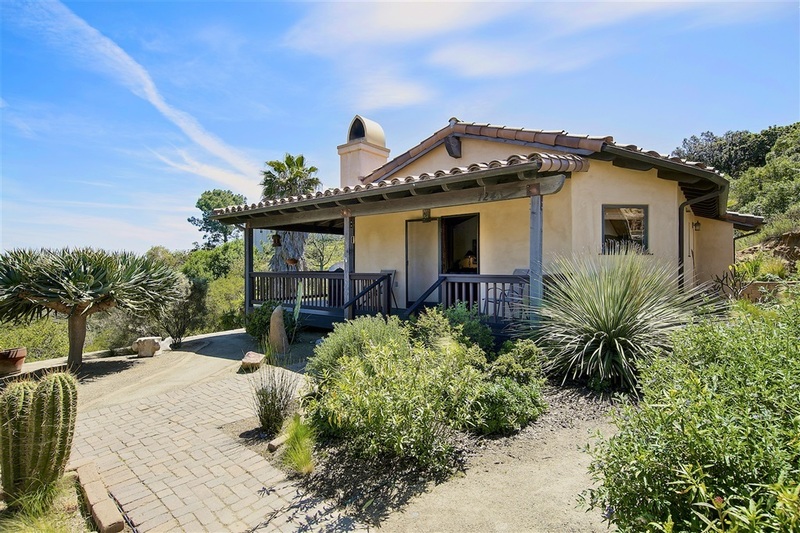 Tranquility awaits you on this remarkable property, tucked away in privacy yet minutes from the exist to the freeway, beaches, and so many amenities. 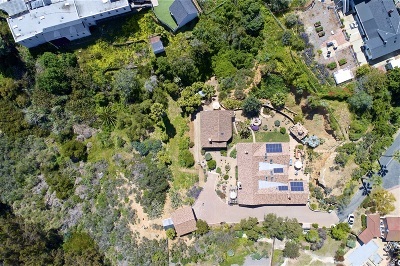 A special place in the sun!